Found out GM trademarked the name "Cavalier" again.....though this time it also includes the US. Knowing that the both the Sonic and Spark get the ax in the very near future- makes me wonder if the Cavalier is coming back as a simple sedan (like the Versa) and replace the Cruze, Sonic, and the Spark. I know Nissan is going to chase the youth market with affordable tech and style- maybe GM could be thinking the same? The China market Cavalier is available in Mexico where it replaced the Sonic..don't know if they are shipping it from China or not. From what I've read, it's a rebodied 1st gen Cruze. It's now Chevy's largest sedan in Mexico (they used to sell the Cruze, Malibu and Impala there but not now apparently). Would totally make sense to use some old hardware, with new tech like Nissan and go after the youth market with a cheap cost car. That is the only way to get butts in the seats again. Love the look in their brown color. Damn sharp interior for this car. it's similar to but different from the 2015 China market Cruze. Which is similar to but different from the 2nd gen US Cruze. The white China Cruze looks better because it doesn't have the cheesy black C-pillar trim that GM loves. I was in Baltimore '87-89, this was there the first year, then got torn down. I remember it had a 'walk-up' window where you could order/get your food as opposed to going inside. Why, I'm not sure. New Encore and Encore GX look great, imo. 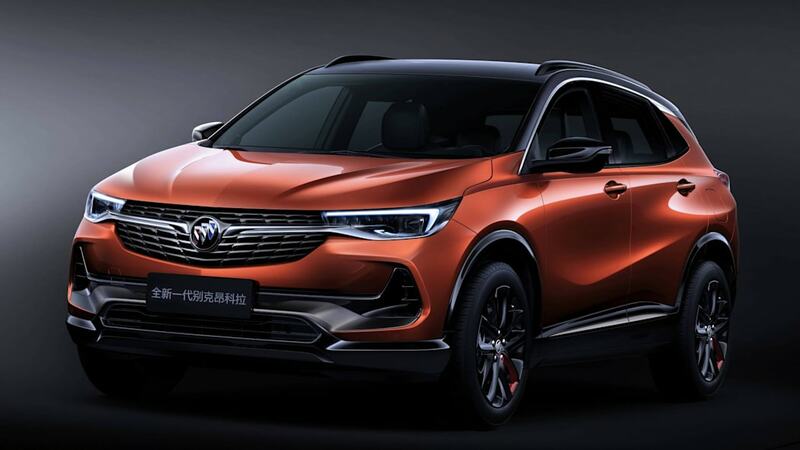 GM has finally figured out how to design a GLOBAL Buick, instead of a regional one (Envision, I'm looking at YOU in my head). I think both variations could be sold here successfully, if they are built in North America. Good job! New Encore and Encore GX look great, imo. 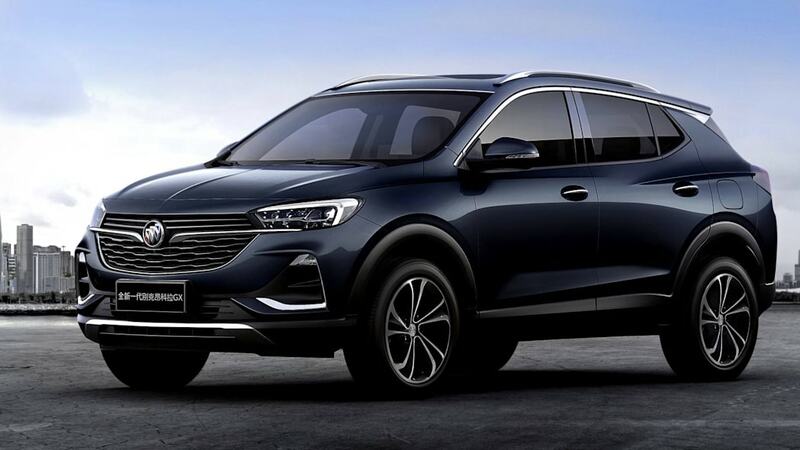 GM has finally figured out how to design a GLOBAL Buick, instead of a regional one (Envision, I'm looking at YOU in my head). I think both variations could be sold here successfully, if there are built in North America. Good job! That is really sharp looking and would look good on the whole family of CUVs. Is it wrong to say I’d be all over that?? Nope not at all, I think many would take a less tech car at a low price point to drive a new reliable ride. After all for an entry level auto, it does not need all the bells and whistles as it is a starter car. Hell if they did this at 12-15,000 with manual door locks and manual windows, it would still sell. This entitlement crap has to end by accepting that you have to work and earn it and it is not given to you. Welcome to the start of your life is my attitude. Heck I would be happy to drive this if I could fit in it as it would be a great commuter and run about car. Kinda my thoughts too...I tend to like the simple stuff anyways.. I like the grille, belt line character lines, and lower body character lines better on the gold/brown one. I like the roof line and lower front lighting better on the white one. It is very sad that we're losing the current Cruze. When in SoCal, a Chevy salesperson told me that they don't have any problems selling them, whereas the Impalas move off the floor somewhat slowly. As we already know, it's the profit issue and not the volume issue. There's no GM car in the compact to midsize slot at this point. Meh. Maybe the Malibu is a mid-size even though rental car agencies consider them full-sizes. Funny thing is that the 'Bu isn't leaps and bounds above the Cruze in road manners, refinement, and comfortable driving. Edit: those brown colors for the exterior and interior are nice. It's about time that the tans offered for the exterior no longer look like metallic urine samples and the tans offered for the interior no longer look a few shades off white and prone to showing stains. Of course the Cruze would sell faster in SoCal than the Impala. Gas prices are about $1 higher in CA than almost everywhere else in the United States (excluding HI). I can tell you right now I should not have opened this pack of figs. Sorry, I don't see it. I know what you're seeing, I don't think it was at all intentional. The aerial views of the open roof at Notre-Dame in Paris after the fire are distressing. The roof along the entire nave has collapsed and took the central spire with it. There was scaffolding around the spire in the center, so some type of maintenance work must have been going on. Now they will be looking for answers. I'm sure many are thinking of making some type of donation, no matter how small. If the donations go over the needed amount, one would only hope it goes into a fund to keep future restoration and maintenance going. Visiting it, and Paris, are among those things a person doesn't easily forget. Also, this happening within a week of Easter is bad, bad news. Thank you for posting them, after watching them I can clearly see why they are not on sale here. The potential is such limited as most people would rather have a King cab or crew cab model over this and those seats look so uncomfortable. Kinda slab like. Very cool that they have an RST and Z71 version of a standard cab short bed truck, but how many would really sell here. Course I do get the thinking, they build it and sell it in Mexico, so how hard is it to offer to sell it hear and have it on the catalog as an option. At least give the dealerships the CHOICE. Let the market prove if there is or is not sales of a standard cab short bed. Can you get the light-up Bowtie in the US? Doesn't matter how many regular cabs they would sell- the work is done & the truck is rolling off an assembly line. Sell it here (in the semior style -like above- and in long bed).